Times are reflected in Standard Time, unless otherwise noted. The next time change is March 11, 2012. 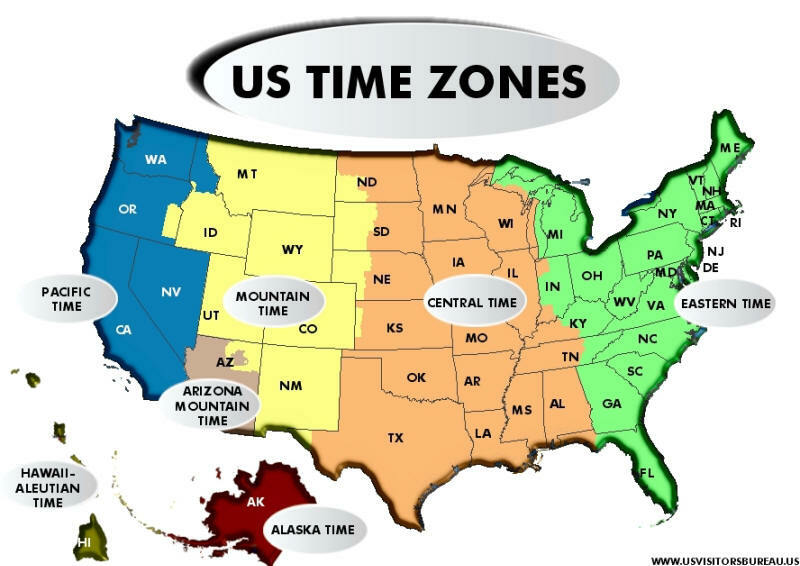 Arizona, with the exception of the Navajo Reservation, and Hawaii do not observe Daylight Saving Time.